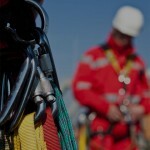 DXP participates in all levels of the fabrication, construction value and supply chain . 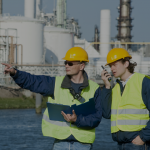 DXP also provides MROP (maintenance, repair, operating and production) while keeping employees safe. 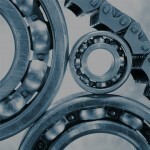 Our unique ability to integrate a broad range of products and capabilities and increase productivity is our competitive advantage. Fabrication and construction require a safety first promise through training and education. The traditional build-on-site method of construction puts the full burden on the end-user. The end user must design a system, source the required components and put them together. The end-user gets it working and, if there are future problems, the end user gets it fixed. This is probably the most expensive way to meet your system needs. An IFS Modular System is a more cost-effective solution because we build hundreds of systems each year. 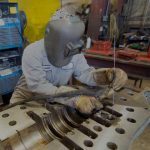 With a complete manufacturing staff of system designers, electrical and mechanical engineers, welders, painters, assemblers and quality control technicians, we produce reliable systems more efficiently than is possible in the field. In a comparative study of a $100,000 installation, the cost breakdown between a build-on-site system and an IFS Modular System revealed a savings of about $20,000. And with IFS the end user does not incur cost overruns due to weather delays, job site manpower coordination, late equipment deliveries or shipping delays. The biggest problem with the build-on-site method is quality and reliability. A system is only as good as the individual components and how well they’re put together. With improper component selection or poor assembly work, you are virtually guaranteed to have performance problems. The IFS team of experienced and highly-skilled professionals has produced over 100,000 modular systems for applications around the globe. 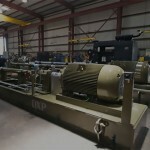 Our systems are designed to provide years of trouble-free operation. 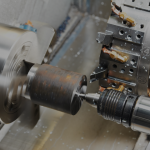 IFS’s superior expertise in everything from component selection to equipment start up will save customers from years of headaches and hassles. 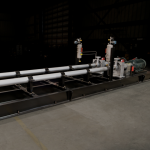 IFS builds quality-engineered, pre-assembled and pre-tested modular systems fully integrated into a skid-mounted package. With an IFS Modular System, you can be in full operation in the shortest time frame. Our system designs minimize field fabrication and on-site assembly, which means the equipment is working for you faster. Another key problem with the build-on-site method comes up when there’s a problem – Who do you call? If there should ever be a problem or question regarding an IFS system, customers only have to call one number. Our dedicated customer service technicians provide immediate assistance and, if the problem can’t be handled over the phone, we’ll dispatch a certified technician to your office or site worldwide. It’s that simple. Build-on-site systems cost more and are less reliable. It may be months before they are operational and, should something go wrong, you have the added challenge of finding someone to help you. With IFS, you save money on a more reliable product. You’re in full operation sooner and have the backing of a manufacturer with a global service network. Between build-on-site and IFS, the difference is clear. Integrated Flow Solutions is the better solution.